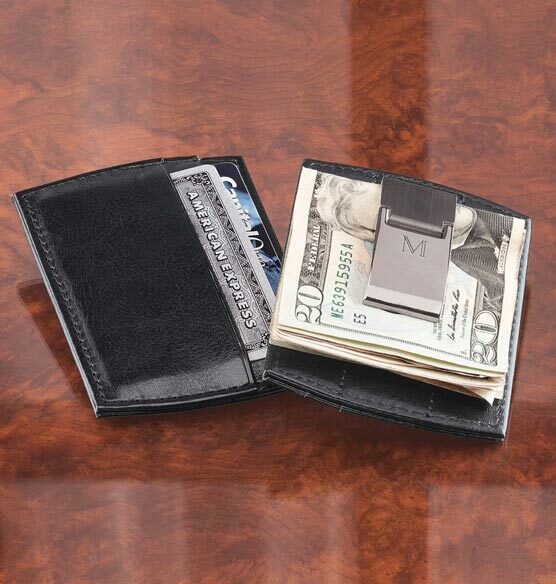 Organize loose cash and credit cards in a jiffy with this classy Monogrammed Black Money Clip Wallet. 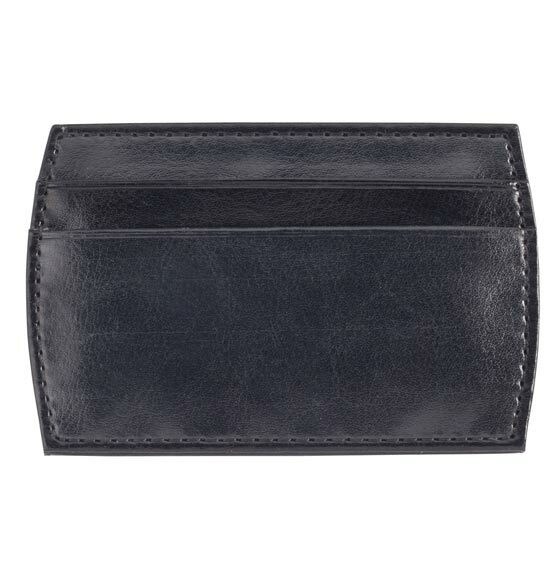 This compact wallet for men is crafted of quality black leather and is designed to slip easily in and out of pockets. 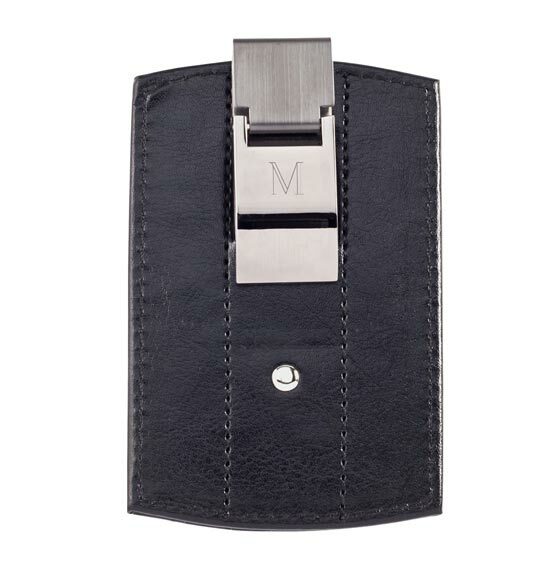 The streamlined design features a spring metal clip for securing bills of any denomination. Customize this monogrammed wallet with a single initial.